JOHN OUTTERBRIDGE was born and raised in North Carolina and studied at the American Academy of Art in Chicago. Best known for his assemblage works, Outterbridge lives and works in South Central Los Angeles, and served as the director of Watts Towers Arts Center for 17 years before devoting himself full time to his own artwork. 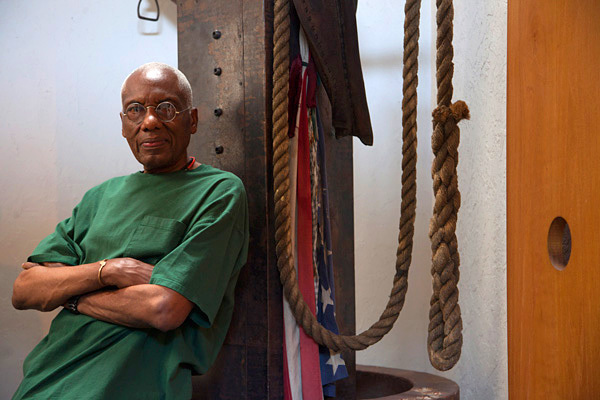 His work was featured in a one-person retrospective at the African-American Museum in Los Angeles. Outterbridge has represented the U.S. in major international exhibitions in Brazil, Cuba, and South Africa. His work explores issues pertaining to personal identity based on family, community, the environment, and aesthetics. He is well-recognized for his skill in creating art from found objects and discarded materials.